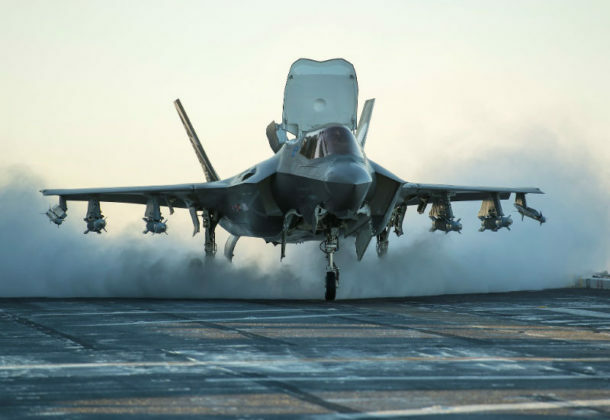 The Senate and House agree on a $716 billion defense spending report that prohibits transfer of F-35 jets to Turkey, expands aid to Asian allies to counter China, and adds ships and other technology funding lines above the White House request, reports Breaking Defense. The language on Turkey will likely anger Ankara, which plans to buy the Russian-made S-400 air defense system despite loud objections from fellow NATO members. DefSec Jim Mattis objects, “At this time, I oppose removal of Turkey from the F-35 program,” reports Defense News. The Senate confirms Robert Wilkie as VA secretary, reports USA Today, the fourth VA secretary in five years to grapple with better care and services to veterans amid staffing shortages and bureaucratic obstacles. The Navy wants $64 million more in its budget to address reforms following the fatal collisions of two warships in 2017, reports USNI News. The request includes money for new maritime training schoolhouses on the East and West coasts, money for Automatic Identification System laptops, development money for a next-generation surface search radar, and the money to reestablish the 2nd Fleet in Norfolk, VA.
Lt. Natalie D. Combs deferred entering a plea at her arraignment and will face a general court-martial for hazarding a vessel and negligence in the collision of the Fitzgerald which resulted in the deaths of seven sailors, reports USNI News. The officer of the deck at the time of the collision, Lt. j.g. Sarah B. Coppock, pleaded guilty to a single count of negligence in May. Combs’ lawyers said the blame for the incident goes much higher than the sailors who were on watch on the destroyer. North Korea has started dismantling a missile-engine test site, reports The New York Times. President Donald Trump said the North’s leader, Kim Jong-un, promised this during their historic summit meeting in Singapore. 38 North provides an analysis of satellite imagery of the location. Iranians shrugged off the possibility that a bellicose exchange of words between President Trump and his Iranian counterpart could escalate into military conflict, reports Military Times. They did express growing concern that America’s stepped-up sanctions could damage their fragile economy. In his latest salvo, President Trump tweeted late on Sunday that hostile threats from Iran could bring dire consequences. South Korea plans a trial troop withdrawal to start disarming the heavily guarded border area as agreed in the inter-Korean summit, reports UPI. US airstrikes increase against the Islamic State and Taliban as the 17-year-old Afghanistan war enters the summer fighting season, reports Air Force Times. Numbers released by Air Forces Central Command shows while Afghanistan airstrikes trend upward in country, they are decreasing in Iraq and Syria. Extreme, potentially dangerous weather hits large swaths of the US. CBS reports flooding from torrential rain prompting flooding from New York to the Carolinas and heat advisories across the West are further complicating wildfire battles in California. USNI News presents Fleet and Marine Tracker. NAS Pax River announces noise advisory for communities surrounding the Naval Air Station. Night flights are scheduled July 24-26, 2018, from 6 to 11 pm. Pilots will be training in short takeoff and vertical landing scenarios that are essential for the safety and readiness of our service members and those of our allies. Residents may notice increased noise levels due to these operations. NAS Pax River appreciates residents’ understanding and will continue to take precautions to lessen the impact of flight operations on the community. For more information, call the toll-free noise hotline at 1-866-819-9028. Leidos Inc., Reston, Virginia, has been awarded a $620,000,000 firm-fixed-price requirements contract, with a cost reimbursement line for travel, for the avionics intermediate shop product support integration program. The contract is for an independent, prime non-manufacturing product support integrator to provide single-point solutions for the F-16 advanced avionics intermediate shop, improved avionics intermediate shop, rackmount improved avionics intermediate shop, AIS automated test equipment components, ancillary support equipment, and test program set system hardware and software sustainment and procurement activities. Work will be at Hill Air Force Base, Utah; and Robins AFB, Georgia, supporting seven Air Force major commands and 23 European participating Air Force and foreign military sales countries. Work is expected to be completed by July 24, 2023. This award is the result of a full and open competitive acquisition with three offers received. No funds are being obligated at the time of award. This contract involves foreign military sales. Air Force Sustainment Center, Hill AFB, Utah, is the contracting activity (FA8251-18-D-0017). NAVMAR Applied Sciences Corp., Warminster, Pennsylvania, is awarded$12,297,326 for cost-plus-fixed-fee delivery order N6833518F0360 against a previously issued basic ordering agreement (N68335-14-G-0040) for the continuation of intelligence, surveillance and reconnaissance sensor development, test and evaluation under Small Business Innovation Research topic number N92-170 and AF-083-0006 in support of the Advanced Capability and Rapid Transition Division (AIR-4.11.6). Work will be performed in Yuma, Arizona (45 percent); Warminster, Pennsylvania (17 percent); St. Inigoes, Maryland (16 percent); Washington, District of Columbia (3 percent); and various locations outside the continental US (19 percent), and is expected to be completed in July 2020. Fiscal 2016 other procurement (Air Force); and working capital (Navy) funds in the amount of $1,640,719 will be obligated at time of award, $1,500,000 of which will expire at the end of the fiscal year. This order combines purchases for the Air Force ($1,500,000; 91 percent); and the Navy ($140,000; 9 percent). 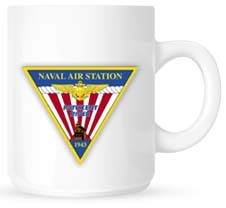 The Naval Air Warfare Center Aircraft Division, Lakehurst, New Jersey, is the contracting activity.